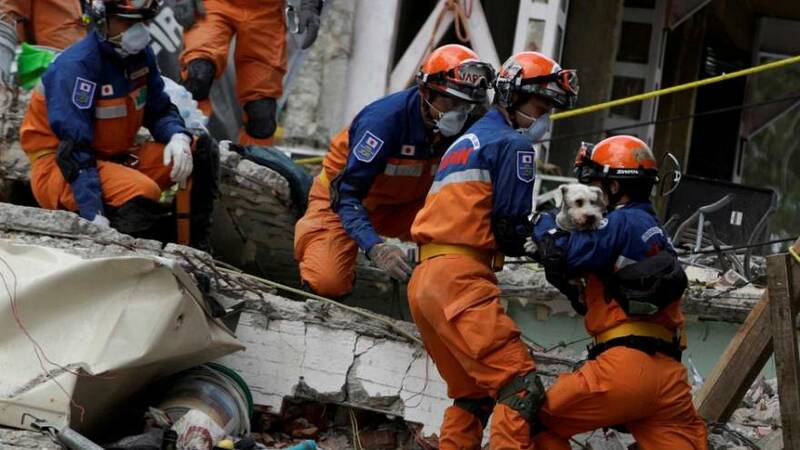 Japanese experts working alongside Mexican rescuers at a quake site on Sunday (September 24) found a dog alive in the rubble of a collapsed apartment, six days after the capital was left reeling after the 7.1-magnitude quake. The dog was pulled out of the rubble by a Japanese and Mexican crew and was reportedly in good health. He was checked by Red Cross paramedics at the site and rescuers hope to reunite him with his family. The rescue was a glimmer of hope for traumatised Mexicans with search and rescue operations now concentrated on ten sites in the capital that could have people buried under debris. Locals have come out in droves to donate and volunteer to help sift through rubble for survivors.